Trees can need to be removed for various reasons. They can die from insects and disease. They can fall down in a storm. Sometimes it's the wrong tree for your family. We'll take care of it! Tree trimming can be a very dangerous job and should not be attempted by anyone other than a professional. 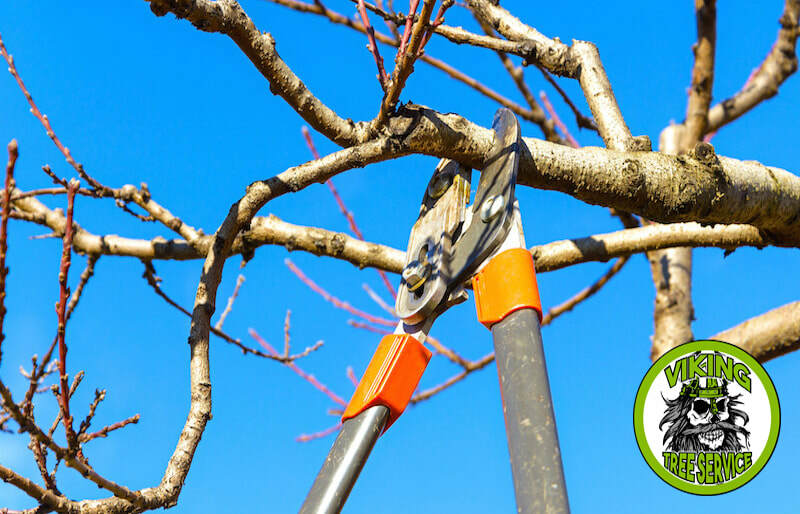 If you have branches that need to be cut back, for your and the tree's safety, call us! With all of the events that come thru our city like EAA, Rock USA and Country USA, and in general all of the camping that takes place around here, firewood is in high demand! Call us - we've got it! Tree Services in Oshkosh, WI. Looking for a "tree service near me"? Oshkosh, Wisconsin has an answer to all its tree service questions, problems, and emergencies. That solution is Viking Tree Service! Viking Tree Service as the tree service Oshkosh trusts, handles all sorts of tree services in the greater Oshkosh area. 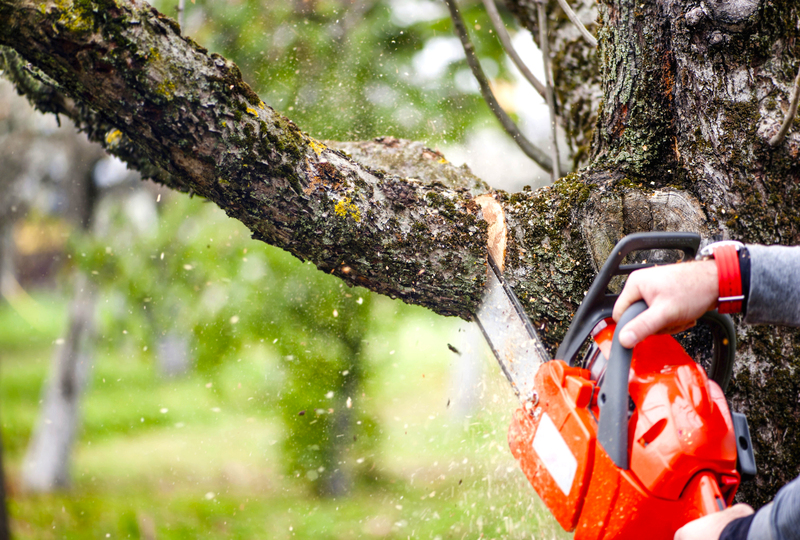 ​From tree removal to yearly trimming, we have expert arborists on staff to make the best decisions for you and your property. No other Oshkosh tree service has the amount of combined training and experience that we do, and we’ll prove to you that we are the best with just one service! Your project is our number one priority. We provide a full scope of residential and commercial tree services. Customer Service Is Our Most Important Service. 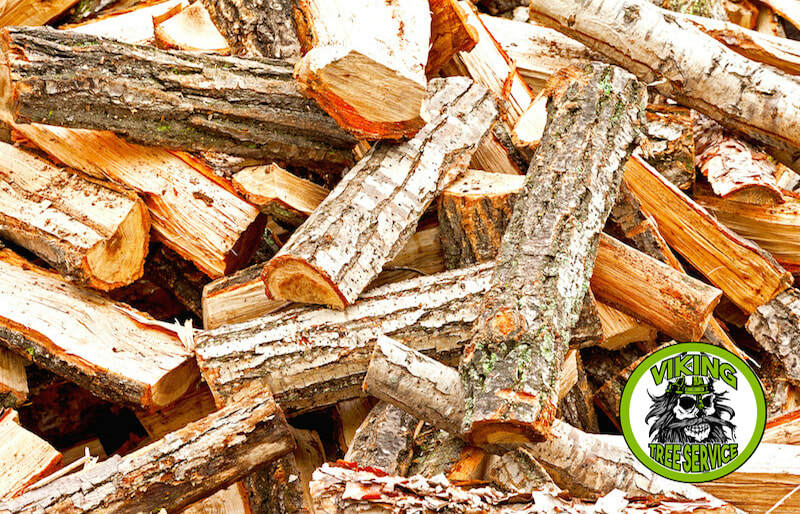 At Viking Tree Service, we’re 100% committed to giving our Oshkosh customers the best tree service they can get. We have a reputation for listening to our customers and fully understanding what they need – and what they want – before we start cutting down trees on their property. We have found that communication can solve many of the problems that home and business owners have with their contractors and other service companies that they hire. Home and business owners want to feel included when it comes to making decisions about their home or place of business. We’ve learned this lesson over the years, and it’s something that we won’t soon forget! That’s why we keep our customers in the loop about every decision that’s made, why we’re doing certain services as opposed to others, and how much everything is going to cost. These are all vital pieces of information that are important to our customers, so we are upfront about all the information that’s most important to our most important customers…and that’s all of them! Because Viking Tree Service is dedicated first and foremost to giving our clients excellent customer service, we always provide a little more than what they expect. Our teams are friendly and helpful, and they’ll always explain what we’re planning to do and why. We understand that most regular folks don’t have the unique knowledge about tree care that we possess, so we’re more than happy to share that knowledge with our friends and neighbors, who also happen to be our customers! We Take Care Of Oshkosh. Money magazine rated Oshkosh, WI one of the 100 best places in the U.S. to call home, and it’s easy to see why. Oshkosh, on the western coast of Lake Winnebago, has many attractive features that make it a lovely place to live, work, and learn. The school system receives high ratings year in and year out, and the health care system is excellent as well. Besides these advantages, there are many special events held here each year that draw tourists and locals alike. It’s no wonder that such a fabulous place to call home also has great shopping, many beautiful neighborhoods, and dependable contractors that keep every home and business safe and looking spectacular! Viking Tree Service is one of the lucky companies that gets to call this wonderful city our home, too! This personal investment in our hometown makes us the perfect choice for a tree service company in and around Oshkosh, WI. 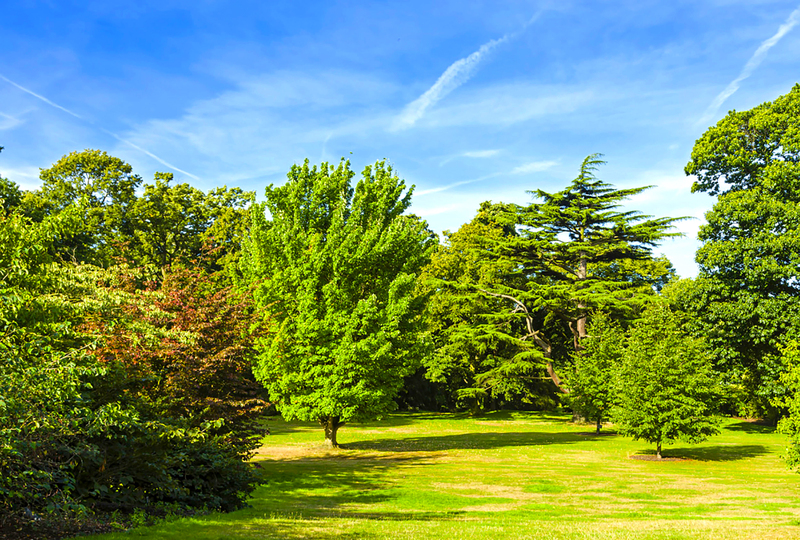 We know the area well, and we are familiar with the native trees growing on your property. This includes the knowledge to maintain these trees and help them grow to their full, healthy potential, and it also means that when the trees experience disease or damage, we will know exactly how to prune them to protect them – and other trees and property surrounding the affected trees. In the event that the tree must be taken down, a last-case scenario for us, we have the equipment and training to bring the tree down safely and effectively. When residents and business owners in Oshkosh, WI need fast, reliable tree services, Viking Tree Service is the only choice to make! We love this area as much as you do, and we’ll do whatever it takes to take care of the trees on your property. This may include one or more of our expert tree services. But don’t worry…Viking Tree Service isn’t a one-size-fits-all tree service company! We’ll tailor our services to meet your home’s or business’s specific needs! We're ​A Local Name That You Can Trust. your trees, we can handle it! What Sets Viking Tree Service Apart From Other Tree Care Companies In The Fox Valley? You won’t find another company that serves the Oshkosh area with more confidence and reliability. Your home, farm, business and other properties are important to us, so we’ll always do what we say when it comes to taking care of them. This means that we’ll get back to you quickly when you contact us, whether you’re a new customer or in the middle of an extensive tree service job, we’ll always communicate with you promptly, and we’ll give you the absolute BEST service each and every time you call on us! Our prices are hard to beat. Tree services aren’t cheap. You probably already knew that, or you discovered it quickly after you began your research to find Oshkosh’s best tree service company. Viking Tree Service understands that having trees removed, trimmed, or treated in some way isn’t something that most people budget for. Many of our Oshkosh neighbors only have a need for our services when they have a tree emergency – or the threat of one. Therefore, we keep our prices competitive with other companies in the area. The price of tree services shouldn’t keep you from having necessary services performed on your trees around your home or business. The value of our expertise is priceless. First things first…Viking Tree Service won’t claim to have the cheapest tree services in Oshkosh. In our opinion, no company can make that claim without sacrificing their level of service. However, Viking Tree Service does promise to be the best value that you’ll find anywhere in the area! We can confidently make this claim because we hire the best team and then train them to meet our exceptionally high standards of work and customer service, so you’ll get consistent, high quality work no matter which of our teams is assigned to your job! The price you pay for our services buys you more than excellent service. You’ll also get peace of mind that you won’t achieve with any other company. 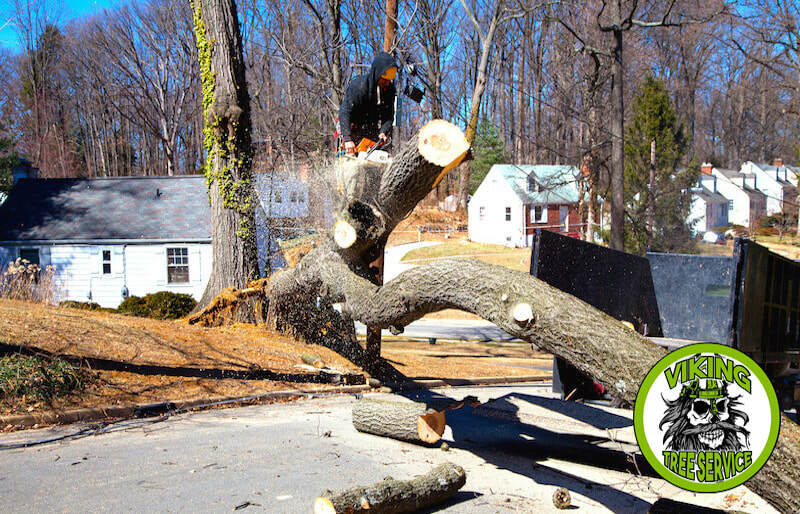 Because a tree emergency can make your everyday life impossible, Viking Tree Service responds quickly and works just as fast! For businesses, a fallen tree can mean closing down for a day or two – aka losing money! Even if you don’t have an emergency, you probably would still rather have us out of your hair as soon as possible. We won’t take it personally! It’s our job to care for your trees, no matter what services you need, and to do it as unobtrusively as possible. This way of doing business keeps our customers happy, and it keeps us in business with the good people of Oshkosh, WI! You can ask us who the best tree service company is in Oshkosh, WI, but we’re sure you know what we’re going to say! To get real customers’ opinions, turn to your friends, family, and neighbors! Ask around at work or inquire on social media about Viking Tree Service, and see exactly how pleased our previous customers are. If you’re really serious about choosing us, we can even provide you with the names of a few recent customers, and you can speak candidly with them about every element of our service. We’re sure that these referrals will only serve to convince you further that we’re the best in the industry! SOME OF OUR OTHER SERVICES. Businesses need tree service as well! 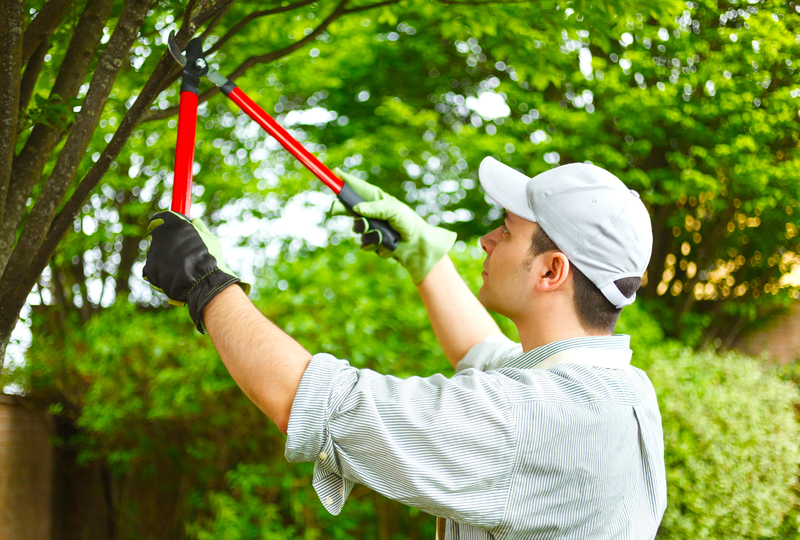 If you own or manage a business and you find your treescape in disrepair, call us today! Your customers will notice it when you do! When the wind and ice comes, your tree branches have the tendency to give way and fall. Give us a call to come clean up your trees and haul off the mess that the storm left behind. Unfortunately, some people and companies chop down trees but then leave the mess and unsightly stumps behind. Give us a call to have us come out and grind and remove them out. If you have a piece of overgrown property and don't have the energy to clean it up, give us a call. We can reclaim your land from nature's constant state of growth. Why YOU Need A Friend In The Tree Service Business. Taking care of your home inside and out is an overwhelming job. Between cleaning, doing basic maintenance, and keeping up the curb appeal, you’re probably like most people…worn out! Viking Tree Service wants to help you out, and trees are our specialty! This is good news because most people aren’t equipped with the knowledge or tools to care for the trees on their property, especially when these trees have grown very large. Viking Tree Service cares about every job that we do. Only in this way have we built a strong client base that is loyal to us year after year. Daily, we add new names to this growing list of satisfied customers because our services don’t waiver from one job to the next! We truly enjoy all elements of the tree service business, and we’re pleased to befriend our clients on the basis of a shared concern for your trees and other property! We’re the only company that you can trust to do the job right every time and that can also be a real joy to work with. When you are looking for a local tree service company in Oshkosh, WI, don’t waste your time looking around. Just call Viking Tree Service, the best company for all your tree service needs! Check out this fantastic video put together by Stihl on why you as a homeowner should hire an arborist rather than try to handle your tree projects on your own! After the last storm, we had a tree limb laying down on our roof. Chad was able to get his crew out immediately to remove it. Thanks! We had a few trees on our property that Viking Tree Service removed for us. They cleaned up very well - glad we hired them! These guys handle all of the tree trimming for several of our properties. I trust Chad and his guys without question. They know what they're doing!